Dubai-based Emirates tweeted out a photo of one of their Boeing 777s encrusted in Diamonds. The thing is — for Emirates — this is actually believable. Since the demise of Russia’s Transaero, Emirates is the undeniable king of bling. Their Airbus A380 aircraft feature showers in first class and a bar in business class. First class on both the A380 and Boeing 777 features a mini-bar, because they can, though it’s odd for first class passengers to have to pour their own drinks. This befits a city not well known for its subtlety. 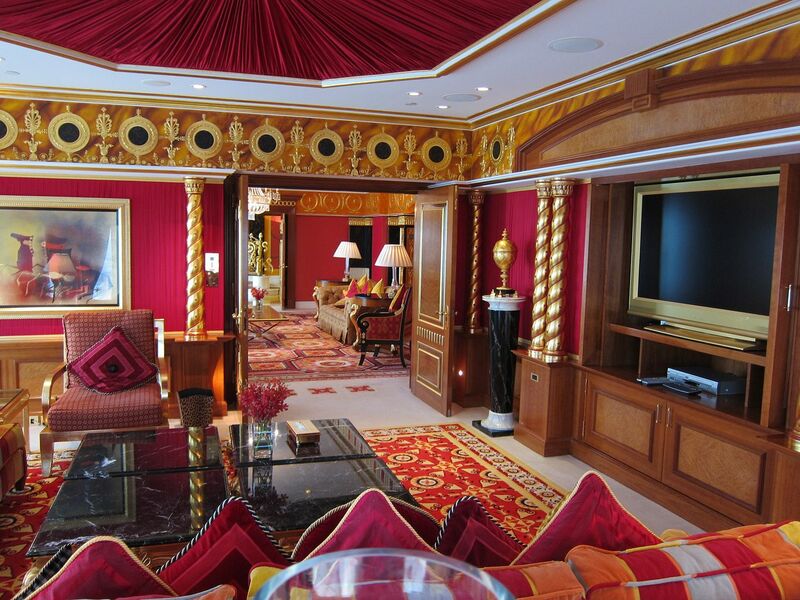 Take the Royal Suite at the Burj al Arab which has its own elevator inside the room. Naturally there are two Royal Suites, in case the royal family is actually using one. Unfortunately it turns out there is no ‘Bling 777’ and instead it was created by Pakistani crystal artist Sara Shakeel, a former dentist. Surely though Emirates Needs. To. Do. This.. Sounds like a great idea, until a piece of bling falls off and takes your eye out!